BRUSSELS, Belgium, April 14, 2015 (ENS) – European Commissioner for Transport Violeta Bulc and the transport ministers of Europe’s seven Alpine States are cooperating to finalize and fund sustainable transport infrastructure that crosses the Alpine region. At a gathering in Innsbruck on March 19 and 20, Bulc and the ministers from Austria, France, Germany, Italy, Liechtenstein, Slovenia and Switzerland focused on meeting growing needs for mobility without increasing the negative effects of transportation on the living conditions of local communities and the unique natural heritage of the Alpine region. “An integrated and future-oriented transport concept for the Alpine region is vital for both the overall performance of Europe’s transport system and the preservation of nature and peoples’ living conditions in this region,” said Commissioner Bulc. “With our new trans-European transport network’s policy, we have powerful instruments to help drive such a process forward,” she said. The commissioner and the ministers confirmed their joint commitment to completing all key railway projects within the next 15 years and formally signed a declaration to promote sustainable transport in the region. These include “flagship” projects of the Trans European Transport Network (TEN-T) such as the planned Brenner and Lyon – Torino base tunnels. The officials signed a declaration agreeing that the Alpine States, the European Commission and implementing bodies shall pursue their commitments aiming at the completion of eight major Alpine crossing railway tunnel projects in accordance with national plans and the recent joint applications for EU co-funding. 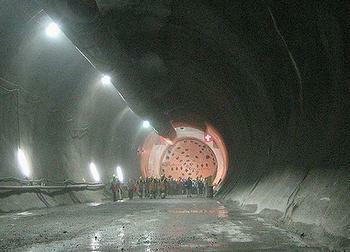 Each of the tunnels requires investments of over eight billion euro. * – the Gotthard base tunnel – as part of the Rhine – Alpine corridor: In the heart of the Swiss Alps, the world’s longest rail tunnel is expected to open in June 2016. Equally important are the many other Alpine crossing projects, which are included in the trans-European transport network and have strong support at the EU level, said Bulc. In the presence of some 500 participants, the commissioner, ministers, coordinators and promoters of key Alpine crossing projects discussed the challenges of preparing, implementing and financing large-scale projects that cross borders of several EU Member States. 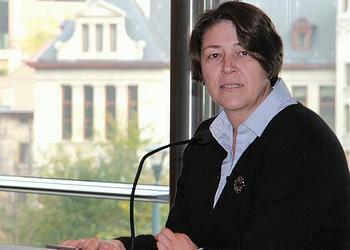 Financing these projects is crucial for Europe’s transport system, said Bulc. The investment will contribute to the creation of jobs and boost the European economy, strengthening its global competitiveness, she said. Once completed, these projects are expected to invigorate trade flows and passengers’ mobility across the Alps and improve economic relations within the European market.